American Wholesale Property: Great Flip and/or Rental in Spring Branch!! Great Flip and/or Rental in Spring Branch!! 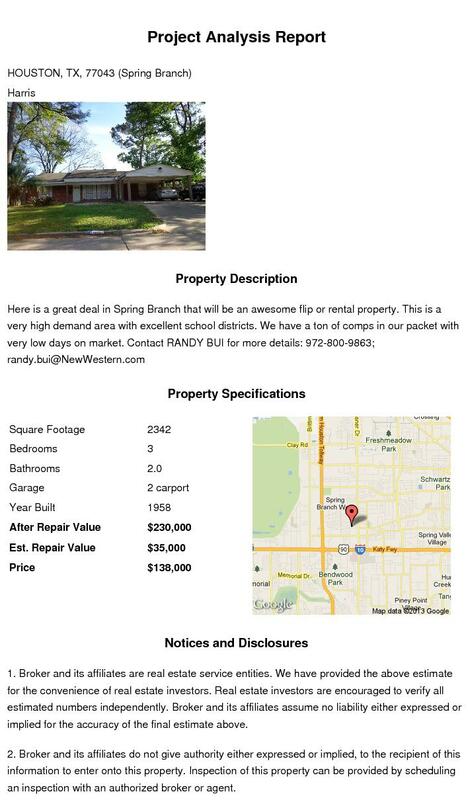 Here is a great deal in Spring Branch that will be an awesome flip or rental property. This is a very high demand area with excellent school districts. We have a ton of comps in our packet with very low days on market.